Press coverage of the sexual exploitation of beneficiaries by Oxfam aid workers in Haiti was "completely distorted and out of all proportion", Clare Short, the former international development secretary, has told MPs. 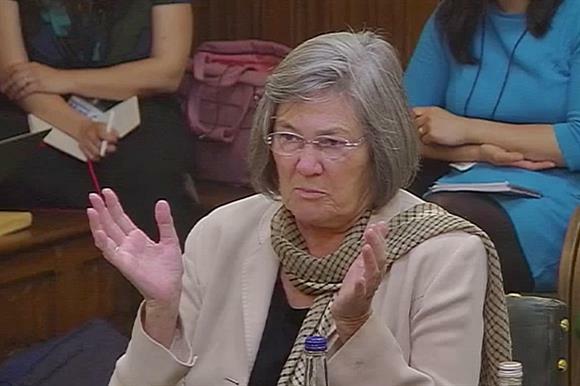 Appearing before the International Development Select Committee yesterday, Short said she felt that the problem of sexual exploitation was not an issue confined solely to international development charities, but appeared to conflate the issue with workplace affairs. "I think the way The Times covered this allegation about one man in Haiti was completely distorted and out of all proportion," Short said. "It doesn’t mean what he did was acceptable. But when I graduated in 1968, university lecturers used to come on to young students. When I was an official in the Home Office, there was a senior official who tried it. "I think if you went to The Times newspaper, there will be people who misuse their power." The Times story, which came out in February, reported that in 2011 six Oxfam employees either resigned or were dismissed for sexually exploiting beneficiaries in the aftermath of the earthquake in Haiti. The story received substantial coverage and led to significant and widespread condemnation of Oxfam’s response to the Haiti incident, including severe criticism of the charity from the current international development secretary, Penny Mordaunt. Short told MPs that she felt that much of the response to the Oxfam crisis was based on people’s higher expectations of the charity sector and their workers. "I think probably people quite rightly expect more of people working in development than they do of people working in other fields," she said. "So I’m not in any way trying to belittle taking it seriously. "But I did think the hysterical response to The Times reporting, as though everyone working in development was morally disgusting and everyone was sexually abusing everyone, was way exaggerated and disproportionate. That’s what I’m saying." She said that the government itself needed codes to prevent sexual misconduct and sexual exploitation in the aid sector "wasn’t an issue in any way, shape or form" during her six years in office from 1997. "I don’t think it is a special problem in international development," she said. "In fact I think probably people are better morally motivated generally, but of course this is a human weakness." When told by Pauline Latham, the Conservative MP for Mid Derbyshire and member of the committee, that it sounded like Short thought the issue did not matter, Short said: "I don’t think it doesn’t matter. I said I don’t think it’s a particular problem of the development world. I think it’s a problem across the world and all institutions. "Of course it’s a disgrace. But I’m saying I don’t think it will be confined to that sector." Short also said she did not remember hearing about or reading a 2002 report about UN peacekeepers exploiting people in Sierra Leone. At one point during the committee session yesterday she was handed a note from Andrew Mitchell, the Conservative former international development secretary who appeared in front of the committee alongside Short – it said that DfID officials provided formal advice to ministers on the 2002 report when it was published. Short said that "I was a very hands-on minister; I read everything that moved, and I have no recollection of this", although she accepted the "timing of memory might be faulty".